Hello COMC Nation! We hope you had a great “civic holiday” long weekend! While you were doing whatever you do during the 2nd weekend of October, we at COMC HQ used our time wisely to put together a little something for our sellers, something you’ve been asking for recently. No, not the COMC Swimsuit Calendar…that project has been put on hold, until we renew our gym memberships. I’m referring to a Black Friday Processing Special for 2014! 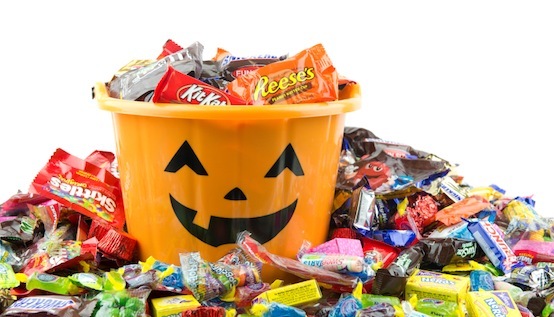 Halloween candy and a Processing Special? Best! Month! Ever! All cards/packages for the Black Friday Special must be postmarked by November 1st. This refers to the USPS postmark on the outside of the package and not any dates generated by our submission wizard. We guarantee your cards will be live on the site by the Wednesday before Black Friday. And, the sooner we receive your cards, the sooner they’ll be up on the site, so send them in as soon as possible. Anything received with a postmark after November 1st will receive our Basic Service. ← Get Ready for Black Friday! We Are Hiring. I hope the specials are put on hold so you can get back to the original process periods we signed up for and get our cards processed that you have now. You have to love blowoutcards_thefantasticstore . great low prices! Blowouts great for sellers cleaning out the attic and possible COMC necessary cash flow but our cards are still behind in getting processed…remember? Let’s wait until spring to do house and attic cleaning and get our cards processed…..just a thought. Doesn’t seem like a great “Special”. Double the price of regular card submissions, only newer cards, pay before cards are submitted, and the only benefit is the 1-4 weeks which was the norm when most of us signed up on here- not the 4-10 weeks it takes now. I agree with you there. Not that great of a deal, I’m more worried about the 1000 I just submitted making the 8 week timeframe than a special to slow down the process of my cards of which I paid regular price to get on in time. The last “special” held up my cards, which I paid the full processing fee for, took almost 8 weeks to the day to get 50% of my batch up because those who shipped cards to process on a special had their cards processed before mine which I paid a premium for just to get on faster. At least this was the explanation I got. That the special brought in so many 1,000s of cards and had created a backlog so mine would be last. Anyone else see any common sense logic in that? I say screw a special and get back to 3-4 week processing times with the correct information loaded. How about something for buyers or do you prefer to be just a warehouse?? We’ll be making an another announcement before Black Friday that covers this, no worries. We wouldn’t forget our shoppers. It is up to the sellers to provide the deals for buyers. About all COMC can do for the buyers is a shipping deal. COMC could give up a portion of THEIR 20% of the sale price. Actually, the card seller keeps 100% of the money they get from their sales…if you sell a card for $1, that’s your dollar. We get no percentage of your individual card sales. Now, if you run a sale, there is a 3% fee we charge for that…but, again, that’s only if you run a sale. Actually the seller keeps 100% of the sale but if he/she wants to be paid, it will cost a 20% charge that COMC applies to the amount. Moe I believe he is talking about the 20% cashout fee you charge to anyone wanting to make money via the site instead of flipping for other cards. I was commenting to clarify where the 20% comes from…like I said, the seller keeps 100% of the money they get from their sale. Cashing out store credit is totally optional, but if you opt to cash out some or all of your store credit, then we charge a 20% fee. Does the package have to be shipped in a box can we use a bubble mailer? If you want to send the cards in a bubble mailer, you can do so. Forget the specials that will set our cards back to be processed. Let’s get the cards processed in the order they arrive, according to the particular process. I don’t care about a 1/2 price rebate if you don’t meet the deadline you set. That 1/2 processing cut didn’t pay for the baseball cards that I sent in last April that didn’t get fully processed until the regular baseball season was over. And I missed out all summer on sales of players that were “HOT”. Get back to the one month basic before conjuring up cute little gimmicks for whatever reasons! If you want to be successful, listen to your customers and clients first then ask someone with decades of experience in the buying and selling….and not someone in COMC…they might be a bit reluctant to disagree with the establishment. Just some friendly advice before folks start to consider other venues. They need the money it’s pretty obvious. No reason to make a special 2x the regular price and ask for the money up front if they weren’t in need of funds. Next they will raise the cash out fees to 50% just to force sellers to buy other sellers cards to keep the money “on the site” so they don’t have to give back money they don’t have. No one is dumb enough to send in cards for what was promised back in Apr. for double the fee. No one from Blowout will be sending in cards.COMC you should reconsider this. BIG FAIL!!!! Speaking of. I see they now have a seller account on here. Can someone from COMC tell me whether they pay the same fees as us to submit cards or is there a “partnership” and they’re not subject to the same fees we are so it’s easy for them to undersell? The answer to that might tell me whether it’s still worth submitting cards to COMC and I might be ordering my boxes/cases from Buffalo in the future! As a general policy, we don’t discuss sellers accounts publicly; I mean, would you want us discussing any special details involving your account with other people? If you want to ask Blowout, you can, but you won’t get anything from us. I figured they were doing it to raise awareness. I don’t see a conspiracy here. The reason they’re underselling (and worse than me, can you imagine?) is probably because they see COMC as a loss leader. Not much to be done about that, outside of buying their cards to flip, which I’ve done a few times. To Moe’s other point, he can talk about my account all he wants. No such thing as bad publicity. But I can understand why it wouldn’t make sense to say more about that account. Actually, it could be someone else masquerading as BO. Do you think the “GOOGLE” account is really Google, for example? I have to say….the affiliation with that sham of a company (Blowout) and this place turned my stomach before. I felt dirty everytime I saw their name plastered here as a sponsor…even more so when representatives from here chose to frequent their troll forums and not others …..Now we have a non answer to a valid question when in the past the stance of COMC is everyone pays by the same rules…might be it for us. We were already on the fence about ever sending more cards in since the stuff we sell would rarely be considered “hot” enough to be processed ahead of other products…yet we pay the same price as those who get stuff processed faster. There are a lot of things that we appreciated about COMC…. but sadly I think we’ll be phasing it out of our long term plans barring some changes. I’ve been slow in replying as I’ve been trying to formulate a response to this – to spell it out, nice and clearly, we don’t have any “back door” processing special discount deals for any of our consignors. Tim has always maintained that COMC should be a level playing field for everyone, and with that in mind, we don’t play favorites. That was always the case and that is still true to this day. Everyone follows the same rules, and pays the same processing fees. Even COMC employees have to follow the rules – there’s no special preference for us. When any of us submit cards, they get put into the queue with everyone else, and get processed in turn. As for the forums, I have tabs to several different message boards open on my desktop all day long, not just the Blowout forums. I spend nearly as much time on OzCardTrader.com as I do on Blowout. And, I know several COMC employees follow other boards – it’s not our fault that Blowout is one of the most active. We go where the action is. It’s unfortunate that you seem to have some negative history with Blowout, but we’ve been working with them for years…In fact, I’m pretty sure they were part of our website back when you signed up. So, it’s not like it was any surprise or anything. I’ll tell you what I tell everyone who looks at us – we’re an option. We’ve always presented ourselves as a safe and easy place to buy and sell cards online. And, we still are. If that works for you, that’s awesome. We’ll do whatever we can to make your COMC experience as positive as possible. If you feel the need to go elsewhere, that’s unfortunate, but it’s also your choice. You have the right to do what’s best for you – we know our business plan doesn’t suit everyone, but it seems to work for a lot of people. Moe, thank you for clearing up the question regarding back door deals. I think people have wondered that about other people and not just BO. Yet I can show you several threads that BO has allowed to remain that are nothing but that… including a couple about my business even though we don’t post there. The company is run by trolls and therefore does little to curb trollish behavior. However when you post in the very forums that allow the trashing of your paying customers, you (and when I say you, I refer to COMC as an entity) by proxy support the trashing. You are correct, BO was here when I signed my business up, I will tell you that you are the ONLY entity that we do business with that has a connection to them. We don’t purchase or sell any Beckett magazines or use any other affiliate of BO. That being said, my frustrations with COMC go to the core of the fees and processing issues that have changed in the last year. During that time my staff has gotten used to posting items manually and we don’t feel that waiting 8 weeks to get our stuff up because it isn’t Mike Trout or Clayton Kershaw. From what I understand cards now get priority if they are considered “hot”? If that is not the case I am open to correction. However if it is the case the playing field is not in fact level as the senders in of those cards pay the same amount as everyone else yet can see their cards listed sooner. We still have 400+ items on the site and are not planning on removing them in bulk. But sadly I don’t see us sending in another card unless some things head in a different direction. The fee changes and now, this lack of a special are a sign that our inventory is a better fit on other venues as things currently stand. We don’t with COMC anything but the best as it is in the best interest of the hobby for there to be as many viable means of exchange as possible. I hope future enhancements to the site will make it once again friendly for our use. Forums are just that, forums…sometimes, we see a post that contains a suggestion for us that useable or contains some constructive criticism; Tim has always looked to the community for ways to improve the COMC experience for as many people as possible and the forums are a means to get that feedback. They’re also a means to communicate with our users, since some don’t follow the blog, or receive our emails. And, some of the content is less than…polite, shall we say? But, they’re internet forums. You get what you pay for. To us, it’s a tool for us to communicate with our users. If it’s constructive, we work with it. If it’s uninformed venting about something they know nothing about, we recognize that, and either attempt to educate them or we just move on. It’s not like we take it personally…like I said, it’s the internet. You can’t really take it seriously. Now, in regards to the processing, when we realized that we had to start the transition to the new card catalog, we knew we had to streamline our processing services, because we had so many different services available at the time. We had to reorganize our resources and that’s why we shifted to 2 processing services. There was a plan to try and “prioritize” players/teams and such, but that never really came to fruition. And, it would have been everyone’s Trout or Kershaw cards would get processed faster, not just the cards from one person over another – the way we’ve been processing cards since the changeover in January, it’s impossible to process one user’s cards over another, because of the “pool” system we use. All the cards are sorted by sport/year/set…so my 2014 baseball would be in the same pool as yours, and then identified by the team. Once their identified, they get deposited into our accounts. However we do shift our focus on sports that are in season; that’s why we’ve been processing more hockey cards over the last 2-3 weeks and we’ll see more basketball cards getting attention soon, just as baseball sets will be given a lower priority very soon. I hope some of this helps clarify things…and, we agree with your last sentence. We’re not looking for a monopoly, as we know our business plan isn’t for everyone. We’re an option, and we’re working on being the best option for as many people as possible. I still support COMC even though they let you comment in their blog. How is that different from you supporting COMC even though they post on Blowout’s forums? Joel and I still support COMC when you were raking the system jacking your prices up on junk commons to get your name higher in the searches… Then again, I am sure you know of your very own special thread at BO….. but as you said…it’s publicity right? I don’t understand how that answers my question, but it was rhetorical, so it’s fine. Moe, I was not suggesting you pick and choose which user to upload first… but for someone whose cards are not considered “hot” because they are either oddball or vintage, those cards would in most cases take the longest to process, and that is why I suggested that they playing field is not level. As if I wanted my inventory up quickly I would either have to pay more, or shift the focus of my business to the types of cards that COMC would deem worthy of posting quickly. Very disappointing “special”. Note that this is the first time I have EVER complained on this board, so that fact that I felt inclined to do so means that I am truly disappointed. This year we intentionally made a very focused special that will allow us to process the items with minimal distractions; right now, we can only offer very limited specials because we are doing so much extra work to build descriptions for the 3 million different items that people have consigned with us over the past 7 years. With that in mind, we have recently hired several more people in order to speed up the processing pace. If you have anything specific you’d like to share, feel free to email or call us. A shame…. I hadn’t sent anything in since the changeover but had set aside 350 nice Pre 1980 items in the $20-$40 range but they are all pre 1980… Vintage sells well during the holidays but it seems COMC wants to concentrate on new products. I guess they will have to be listed somewhere else. tony when your site is up and running and has some capital and partnetships with a site who tries to be tops then I will jump over and support you. you trolled over on blowout plenty and were banned at least once for it. reading other boards and other sites sales for everything appear to be down across the board. I don’t think that the comc struggles over the last 6 months led to the struggles on ebay. each has made their own mistakes but as a whole there is something else in the air besides getting buyers and sellers. you and others have been posting for months even years that you are pulling all your stuff, yet you never do. why is that? I list on multiple sites and still ebay and comc are just the best places and I’m sure you see the same thing and that is why you don’t fully pull off. Mark, I don’t know you…but your statements are false. Have a nice day. who hurt you? you dont like comc anymore then leave. someone else will fill the void. every post you make is negative. why stay, and why post? we all know that you, peters and joel are kings of the blog lately. sales are down everywhere. we just closed our ebay store and will deal w/50-100 “free” listings instead of having to fork over more $ to them. comc has a rather large backlog. for shame of them to offer any sort of special while the site is still jacked up. you will possibly do a BF special, sell some cards and make some money. then be a sour puss until the next special or site crash or a change in a card that has been labeled wrong for 6 months. we have some more airport auctions to hit up. Can I please be the clown prince? I promise I’ll be funnier. That was an amazing run on sentence! Instead of these specials why not focus on cards you already have that people already paid to list that aren’t correct? I have been waiting patiently throughout the year not selling much of anything and have even resorted to marking most of my things not for sale on your website because of missing info or false promises. What really gets me is throughout those stupid challenges I would see common card after common card of joe blow nobody and those cards seem to have gotten priority over other cards which I don’t understand. Since emails have gone unanswered I was hoping to get an answer here. When can I expect my listings that I have already paid for to be fixed? We are sorry for the perception that these “joe blow nobody” cards seem to be getting priority, but we are trying to get all the edits that have been received completed – there are thousands of edits that have been received and only a handful of COMC staff handling these corrections. I can’t give a specific date as to when all the edits will be completed, but it’s still a high priority project that we’re trying to get done. Sorry, it doesn’t include 2013. Thanks for asking. What a dopey decision. I believe 2013-14 does include 2013 baseball and football — just read the numbers. Common sense should prevail here — not your nonsensical interpretation. Try to “screen in” more business without blocking opportunities. C’mon — it’s unresponsible to make such an illogical ruling only three days (72 hours) before the promotion closes. Totally unprofessional. The 2014 Black Friday Special was designed to allow new cards to be quickly made available for Black Friday…cards from 2013 are not “new”. However, if you were able to actually find a baseball or football set that was dated “2013-14”, we’d probably make an allowance for it. “make an allowance for it”… Please re-read your own add at the top, it clearly states 2013-14 with no specific sports listed. If someone were able to actually find a baseball or football set that was dated 2013-14 they should be processed as the special with NO questions asked and no “allowance” made. Traditionally, basketball and hockey sets cover 2 years because the season does, while baseball and football sets cover 1 because the season also does. I think if there were a 13/14 FB or BB set that they would allow it, but it’s kind of meaningless because, well, are there any? They’d be out by now if they were. I was referring to a baseball/football set that would have been produced in 2013 but marked “2013-14″…but, yes, you’re correct. That is what the original post said, isn’t it? 1. Run no special. Everyone criticizes you for not helping them sell on the biggest shopping weekend of the year. 2. Run a limited special. Half the people criticize you for your lousy offer, the other half for not focusing on correcting inventory. 3. Run a big special. Everyone criticizes you for not focusing on existing inventory & that inventory gets more behind because of the influx of cards drawn in by the special. Option 2 is what I’d go with. Just curious but what/who determined that Black Friday is the biggest shopping day of the year for a hobby that is seasonal and has many “windows” to sell inventory. In 45 years of being in the hobby, the biggest shopping days are when something/someone is hot. It’s just like the stock market which has big shopping days all year long. My busiest days for the past four years have been Black Friday weekend, but whether it’s because of the promotions is beyond me. Individual players and sets have minds of their own, as you point out, but there is indeed a general swell of demand on COMC during the four days after Thanksgiving, for whatever reason. The reason is obviously the COMC promotion on this site. The question still remains who determined that promotion and it was raised as food for thought for COMC. The weekend after Thanksgiving has always been one of the busiest spending days, if not the busiest, because of the “holiday season”. So that mindset is instilled in the buying public anyway. I would suggest having a “Green Wednesday” at various times during the year when the money isn’t flowing so freely because of traditional spending habits of the public. That would help the sellers on this site when the dollars are tighter. Actually we usually get a huge bounce on other sites after Christmas because of gift certificate sales… Black Friday weekend…ehhh a bit more but nothing earth shattering. You sellers need to step up and adjust your prices! I am buying a ton from the seller , china_thefantasticstore. Love the new low prices . thanks! I am so happy for you Bob. I hope you don’t buy everything before I get a chance to get there. I did a search for this seller and can’t find them. How do I find them if they aren’t in the list of sellers? With all the group breaks and retailers like BO pricing cards so low it is heaven for buyers like me. Hope all the retailers start opening accounts on comc so prices get competitive like ebay.